1. An amp doormat that features a last name on the corner for any music lovers you know. 2. 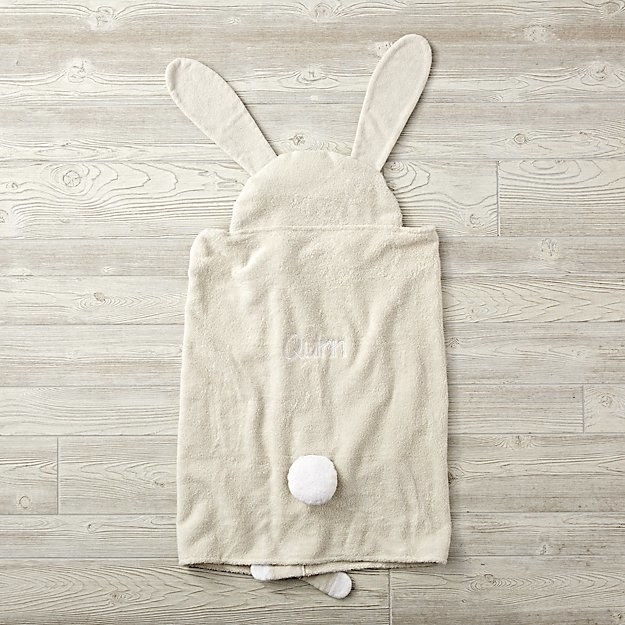 An adorable, bunny towel with an eared hood and the name of your choice stitched on the back. 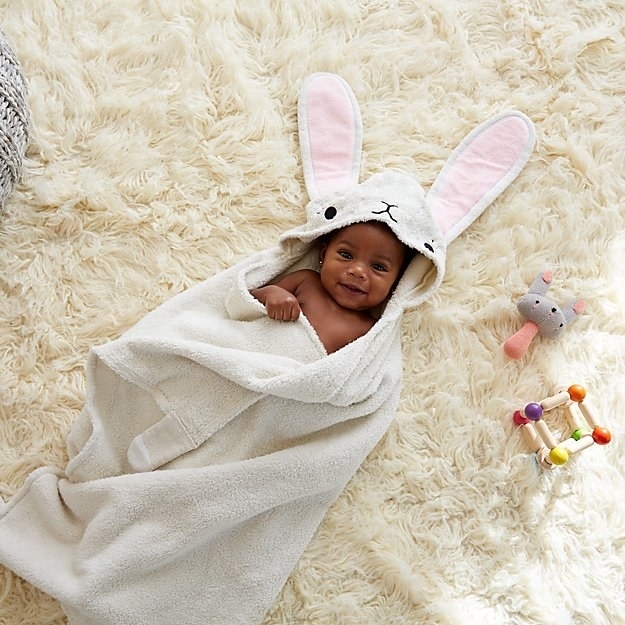 Get it from Land of Nod for $54. 3. A bottle of BuzzFeed's Wordy Wine — you can spice it up with your own caption slapped on the label. You can pick between red, white, and rosé. The labels options are divided by six categories: general, birthday, holidays, life events, weddings, and Jac Vanek. Get three from BuzzFeed's Wordy Wine for $49.99. 4. A vibrant pair of briefs featuring the face of special certain someone. Get a pair from Firebox for $22.49 (available in sizes S–L and two colors). 5. An amazing whiskey barrel you can get branded with names and a date for some serious celebrating. 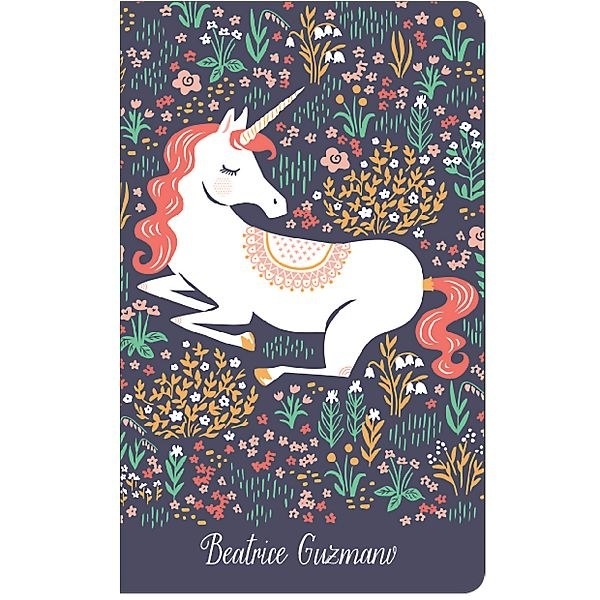 Get it from Uncommon Goods for $85+ (available in two sizes) or something similar on Amazon for $39.95+ (available in six sizes). 6. A fancy throw pillow printed with the stunning likeness of your pet. You can even add accessories like glasses and bowties. Get it from aurespaces on Etsy for $38.95+ (available in sizes XXS–XXL). 7. A bamboo grill set you'll never misplace because it has initials carved right into it. You can get up to 40 characters on each box that has a spatula, fork, and tongs. Get it from A Gift Personalized for $44.99. 8. A subscription to Care/of, a service that lets you tailor your vitamin intake to your exact needs. Take a quiz to find out what vitamins you should be taking and then have them shipped right to your door. 9. An official BuzzFeed Tasty cookbook you can customize with the ingredients you're actually interested in cooking. Pick seven delectable sections like Happy Hour, Light Meals, Quick Eats, One Pot Wonders, and more. You can also add a personal message on the front page and pick between hardcover and paperback. Get it from BuzzFeed's Tasty shop for $24+. 10. A cookie cutter modeled after anyone you want, because who doesn't want to take a bite out of their loved ones sometimes? Get it from BoeTechLLC on Etsy for $40. 11. A romantic mug to show that love always finds a way, no matter the distance. You can pick any two states, countries, or provinces. Get it from Cupology on Amazon for $18.95. 12. A kind-of-freaky pillow you can get stamped with your or your friend's mug. Get it from Firebox for $19.89+ (available in sets of one, two, or three). 13. A lettered cutting board for displaying your love to the whole kitchen. You can get it carved with up to 12 characters. Get it from Uncommon Goods for $159+. 14. A classic cotton bandana with a personal twist so no one can steal it. Get it from Jimmy Mezei Graphic Services on Tictail for $60. 15. A rustic hand-hooked pillow perfect for flaunting any name you'd like to display in a log cabin. Get it from Mark and Graham for $189 (available in five styles). 16. A illustrated print of your family in a rare moment when you're not all bickering. You can see all the options for building your family here, which includes tons of people, pets, and colors. Get it from Uncommon Goods for $75+ (available with 2–12 figures). 17. A customizable shampoo and conditioner designed (by you) to address all your hair goals. Take a quiz, pick out some colors and a scent, then — BAM! You have the perfect shampoo and conditioner for whatever your hair needs. Get them from Function of Beauty for $36+. 18. A service that let's you create fun words and names with Duplo blocks. Get it from Brick Names for $8+ (available in six color schemes). 19. A handmade stamp so you and your SO can now literally give your stamp of approval. Get it from OwlPaperGoods on Etsy for $80.89+ (available with or without pets). 20. A custom birthday book filled with New York Times front pages from the date of your choice. Get it from Uncommon Goods for $99.95. 21. 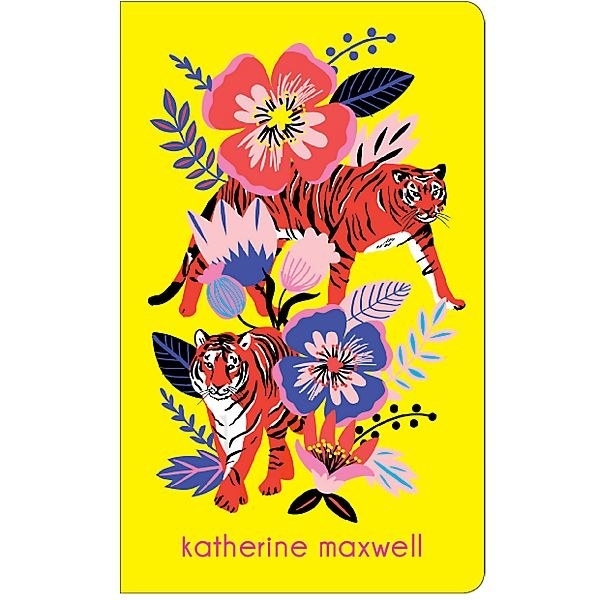 A beautifully illustrated journal you can write a name on to make your notes extra personal. You can pick the name, font, and page format. Get it from Papersource for $19.95 (available in 132 styles). 22. A custom game of four-across that can have letters, numbers, and hearts instead of boring old circles for holes. 23. A glossy, coffee table book filled with all your favorite things — because you designed it yourself! Design one at Blurb for $14.99+ (available in five sizes). 24. A charming magnet that looks just like you, your pet, or anyone else you'd like to see on a refrigerator. Get it from JordanGraceOwens on Etsy for $35+ (available in sets from one to six). 25. 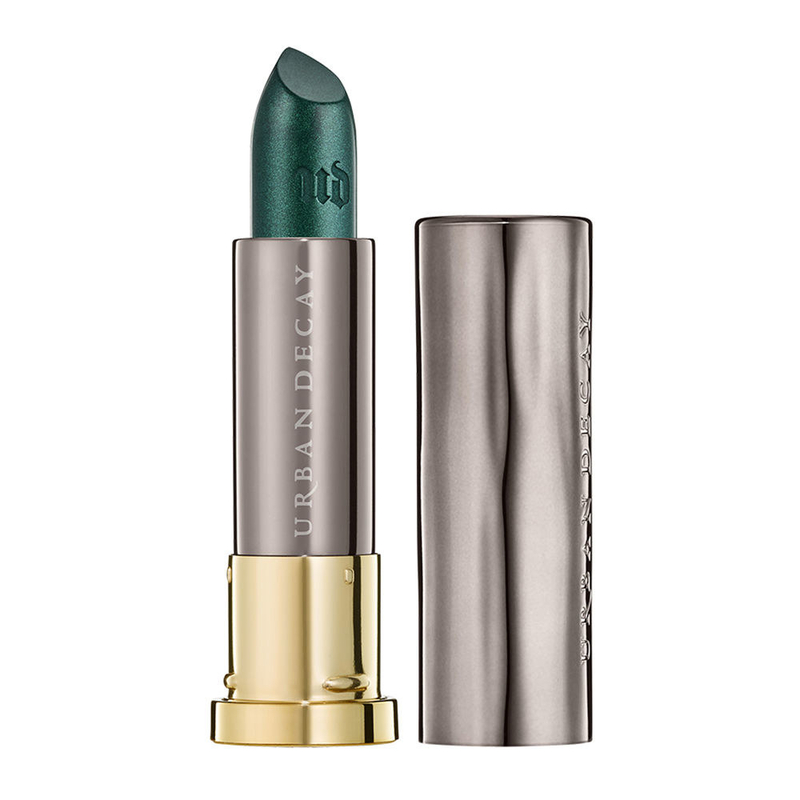 An Urban Decay lipstick you can get engraved. You can get up to 14 characters on the bullet area (the silver part). Get it from Urban Decay for $17 (available in 132 colors).